The Pope Valley Winery was founded in 1897 by Ed Haus as Burgundy Winery & Olive Oil Factory. 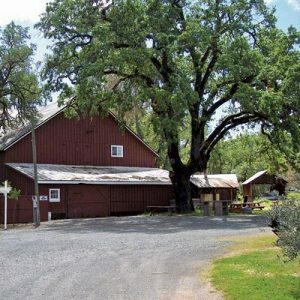 A century later in 1997, the Eakle family, purchased the historic winery and gave it a new life as Pope Valley Winery. In 2009 the next generation of Eakles stepped in to continue building and furthering the family’s vision for Pope Valley Winery as a fine winemaking establishment. Currently siblings, David Eakle as winemaker and Diana Eakle Hawkins as general manager, are making great strides in bringing Pope Valley Winery to the next level. Our Tasting Room offers a unique wine experience for all our guests. We pride ourselves on exceptional wine and customer service. We are open Daily from 10am to 5pm and closed Major Holidays. We offer a custom wine flight for $30 with no appointment necessary, as well as a number of premium tasting packages by appointment. We also offer complimentary tours daily. The Winery includes picnic grounds and bocce ball court so feel free to bring a picnic lunch or we have brie & crackers for sale in our tasting room. We are family friendly and dog friendly (leashes required for all dogs please). We hope you enjoy the wine and your visit.